That is what Brian Sylvestre will have to have while waiting for his chance to step into the starting lineup for the Carolina RailHawks. It is an attribute the goalkeeper admits he did not always possess. 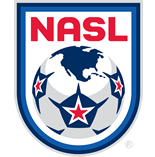 “When I was younger in Vancouver [with the Whitecaps] and I wasn’t playing, I had an attitude about it a certain way,” he told NASL.com. Last season, with Hunter Gilstrap and later Akira Fitzgerald in goal, Sylvestre eventually went on loan to the Philadelphia Union when the Major League Soccer side needed a 'keeper. 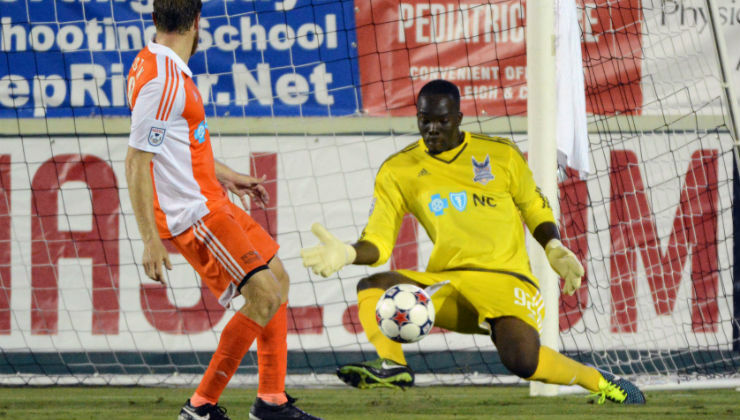 He started in 12 matches split between two spells – he returned to Carolina for his only appearance with the RailHawks in 2015 in a U.S. Open Cup loss to the Carolina Independence – and recorded five shutouts. That time on loan, though, has provided Sylvestre with more confidence as he enters his second season with Carolina. Fitzgerald has been with the RailHawks for the past five years – aside from a brief stop last season with New York City FC of MLS – and could be the favorite to land the No. 1 goalkeeper jersey once more (he led the NASL with 80 saves last season). Sylvestre is ready to battle for that top spot by pushing Fitzgerald to be his best. “I think we just have to push each other and make each other better every day,” he said. “Not even just me and Akira, but everyone has to compete for a starting spot. Whether or not the former United States youth international starts for the RailHawks in 2016, the more laid back ‘keeper is just going to enjoy the ride.